Your car shopping adventures have just begun and you have done research through the internet, asked your friends and family. Now it’s time for you to actually come in to Toyota of Clermont to test drive the vehicle you’ve chosen. We promise that if the one you chose wasn’t for you, you will still leave with a Clermont Toyota that you like! 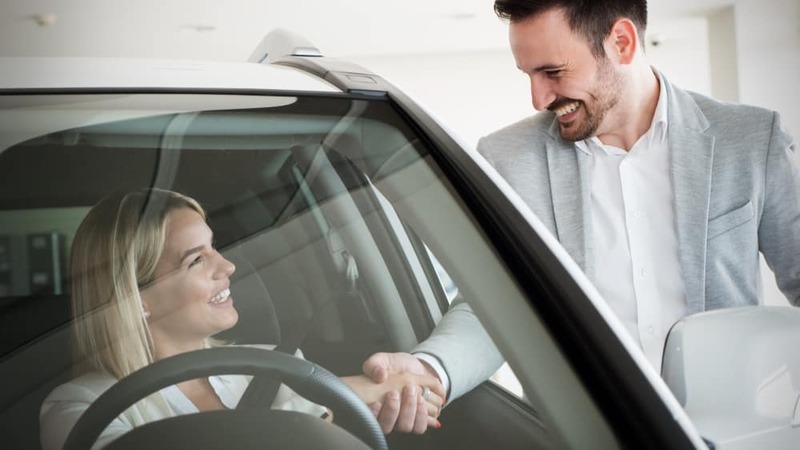 We get it, the convenience of purchasing cars online is pretty tempting because you save loads of time—but something you will never be able to do online is test drive a Clermont Toyota which is a vital part of the car shopping process. It’s important to physically get behind the wheel of your potential vehicle and Toyota of Clermont is here to tell you why! You have the opportunity to inspect: When you take the car for a test drive, you can give it a quick inspection. So make sure you check the cabin for stains, odd odors, or damage on the fabrics and trim. You can also check out the exterior for any body damage, check under the hood to make sure everything is functioning well, and listen for any eerie sounds the car could possibly make. Check for comfort: Since you’ll be spending a lot of time in the driver’s seat, you’ll want to make sure that you’re comfortable in the Clermont Toyota you test drive. You’ll want to make sure you can reach the knobs, buttons, and dials that you need access to. In addition, check for blind spots and make sure the backseat has enough space for your passengers, car seats, or booster seats you may install. Check how the Clermont Toyota handles: When you test drive the car, check to see how it handles. Does it follow your commands accurately? For instance does it accelerate when you want it to? How does it feel when you hit the brakes? Is it easy to park? For some people it just takes some getting used to the vehicle’s handles but for others this may be an issue. You still have the chance to explore other options: If you realize that this isn’t the car for you, you still have the opportunity to find the right one. We have a wide selection of new and used cars on our lot that are waiting for you to take a test drive. Looking for compact cars? Try a Toyota Camry or Corolla. Looking into crossovers? Check out the C-HR or RAV4. Want to go bigger? Check out the 4Runner! Your questions will be answered immediately: When you visit Toyota of Clermont in person, you’re able to ask the product specialists more in-depth questions about the car during the test drive. They can explain the answers easier and it’s a lot more effective than an online chat. Are you ready to get behind the wheel? Schedule a test drive with us today at Toyota of Clermont. We’re located at 16851 State Rd 50.